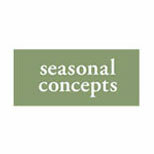 M & J Seasonal Concepts is a privately owned company which manufactures and retails furniture. The M and J Seasonal Concepts was founded in the year 1962 and has retail stores at Tulsa, Oklahoma, St Louis, Missouri, and Overland Park, Kansas. The company specializes in outdoor living products such as tables, chairs, deep seating, beverage coolers, fire pits, heaters and other such accessories. The M and J Seasonal Concepts also provides various holiday trees, garden lights during Christmas time. The company also has products made of materials such as aluminum, steel, wood, wicker, cast aluminum. There are currently 0 consumer reviews about M&J Seasonal Concepts available. Share your review. Please take a note that you are about to post a public review about M&J Seasonal Concepts corporate office on CorporateOffice.com. This review will be public, so please do not post any of your personal information on this website. If you would like to contact the corporate offices of M&J Seasonal Concepts, please use their contact information such as their phone number, website, and address listed above to contact them. However, sometimes staff from M&J Seasonal Concepts headquarters do read the reviews on this website.